Are you trying to lose weight, but instead find yourself losing the battle against carbohydrates? Carbohydrates are loved by many of us especially in North America! We love pizza’s, breads, pasta’s, potatoes and pretty much anything starchy! It is almost impossible for someone to cut them out completely because life has to be somewhat enjoyable and let’s face it, a freshly baked Italian loaf of bread with some butter on it is to die for. There is a healthy way to sneak some of your favourite meals in, such as a beautiful pasta dinner without feeling guilty. Dr. Oz has been talking about the miracle’s of the White Kidney Bean recently and this is the same thing as Phase 2. 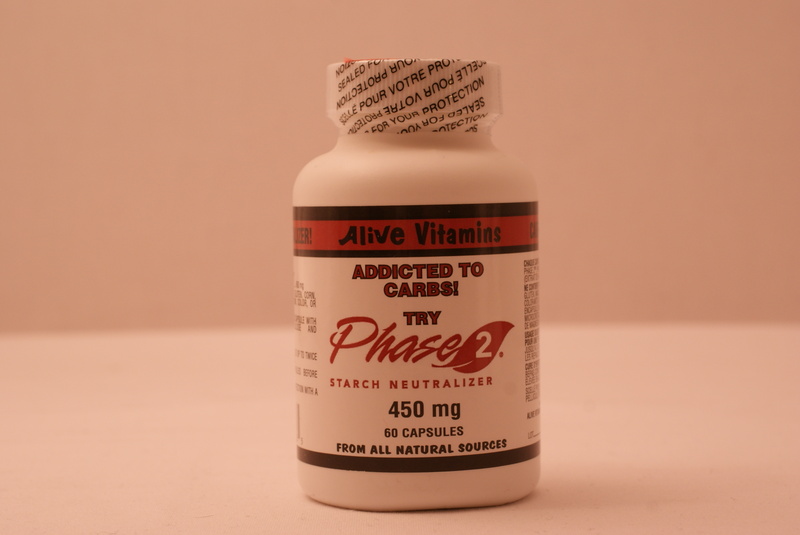 Phase 2 is the trademark name for the White Kidney Bean and essentially it is a starch neutralizer. Alive Health Centre, Morning Sun and Supplements Plus have been helping people manage their weight with the safe and effective Phase 2 for years! We have many testimonials, many success stories and a lot of happy campers because they have been able to find that balance. When you neutralize 375-495 calories a day that is enough to lose a pound every 7 to 9 days! That is without changing anything! Imagine if you through in some exercise! Phase 2 will not help you against sugars in cakes or cookies (basically sweets). Phase 2 will only neutralize the starches, this is important to note. If you also have trouble with sweets and you are on the verge of becoming diabetic or you are diabetic you may want to consider PGX or Go 4 Trim which has the Konjac Root fibre will help you with those sugar craving. Dr. Oz also speaks very highly of Glucomannan (Konjac Root). For more information on Go 4 Trim and PGX come in and see us at a location near you. I have also written a previous article on Go 4 Trim. Phase 2 contains NO stimulants, it is safe, effective and INSTANT! Many Asians find Phase 2 helpful! If you love noodles, dumplings and other starchy Dim Sum foods this is a must for you! What is Phase 2? And HOW does it Work? Phase 2 contains (Phaseolamin 2250) this is an exclusive all natural compound extracted from a portion of the white kidney bean. 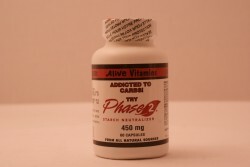 Through numerous studies, Phase 2 has been found effective in neutralizing carbohydrates safely! Therefore, Phase 2 prevents starch from being converted into sugar and eventually into fat! When Phase 2 is consumed before a starchy meal, it later excretes a solid waste of starch (carbohydrates)! Phase 2 works by binding itself to the enzyme Amylase which is produced by the pancreas and thus does not convert starch into sugar. Diabetics may also benefit from Phase 2. This makes sense because diabetics have trouble controlling their sugar and insulin. When taking Phase 2 starch will not convert into sugar and then a diabetic doesn’t need extra insulin to deal with the starch. Why Does Eating STARCH (Carbohydrates) make us gain weight? After we eat starch an enzyme called Amylase converts starch into simple sugar. If we have a fast metabolism or we are engaged in enough physical activity/exercise some of these sugars will burn, otherwise it is stored as fat in your body. Everyone is always worried about consuming too much fat, but many people still are not aware that you must watch your starch intake! They sneak up on you. Just remember, if you are sitting all day at work and you consume 2500 hundred calories throughout the day with most of it being carbs, you will be gaining weight if there is no exercise to burn off those calories you are not using. Phase 2 will neutralize 75% of those, then you need some to give you energy and lastly with a little bit of exercise you will take care of the rest! As always we thank you for reading! We hope you enjoyed the article. While supplements are here to help you, remember that making healthy changes to your diet as well as incorporating physical activity into your life are always a good habit to get into. No matter what, you are what you eat and do. If you sit around too much your blood vessels and arteries will sit around too getting hard and stiff. Weight management is tough and Phase 2 is here to help you get some results safely and effectively. At Alive Health Centre, Morning Sun and Supplements Plus we are dedicated to helping you with your whole health; we strive to create a healthy balanced lifestyle. We look forward to helping you with what ever your health care needs are at a location near you! Sisu Rhodiola: Calm, Relax, and Takes your Stresses Away!